Equine Assisted Leadership training creates interactive sessions with horses that allow the participants to “see” where the problems are and find ways to solve them. The focus is on doing, being active in-the moment, and finding solutions that provide faster, more permanent change. Through experiential activities, Equine Assisted Leadership Training helps the participants to immediately see and experience themselves in “REAL TIME”, and how they interact with their team. 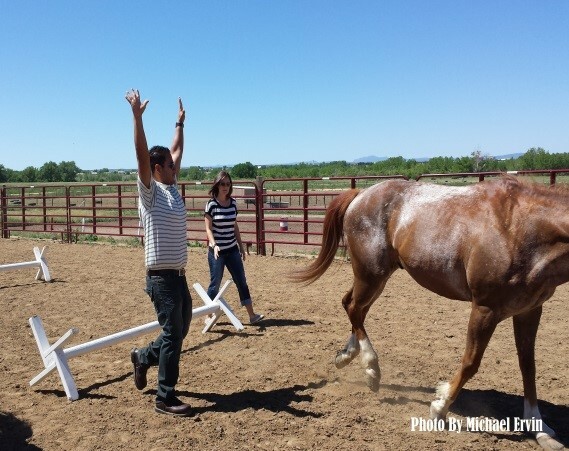 Horses give immediate feedback enabling the participants to change in “Real Time”. The process is engaging and helps the participant be present in mind, body, emotions and more. Because Equine Assisted Leadership training is active and effective, the process is more engaging; once a horse enters the equation, everyone is instantly attentive and engaged in the process. 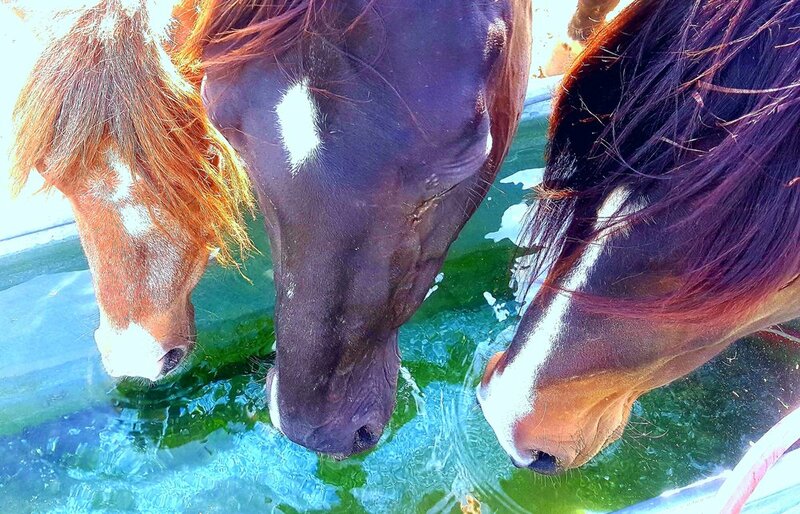 The horses provide powerful opportunities to address social skills, communication issues, and other dynamics necessary for healthy, meaningful and productive relationships between team members. Using horses provides Real Solutions to problems in a way that most didactic training's never do. Our Retreat is Unlike any other Retreat you and your staff will experience. This Unique approach will Inspire and Rejuvenate everyone. Often times communication gets “Lost” because of what makes sense to one person, another doesn’t understand. Our Course focuses on the importance of Clear Clean language and how to implement it to the rest of the team. It’s easy to camouflage or lose who you are in a work environment. Making it difficult to work with others when you are not true to yourself. Team building with horses will bring out strength and weakness of yourself and others, so everyone can work more efficiently together. It can be very difficult combining lots of different personalities and experiences together, and achieving Harmony. Everyone will be able to see that once you learn How to work together properly, success is more fulling and rewarding if you do it as a team. We will Start Our day with a Continental Breakfast and Introductions. Then a 2hr Breakout Session on Identifying Strengths and Weaknesses of the team. We will provide a Catered Lunch. Lunch will be an hour. After lunch we will regroup and reflect on the first Breakout. Then a 2hr Breakout Session on How to Communicate on Common Ground as a team. Homework assignment for those that want to enter the Raffle. Morning will start with a Continental Breakfast and Raffle Winner. Then we will regroup and reflect on what happened the previous day. Breakout 3 a 2hr Session will cover How to Find Team Success by Working Together.